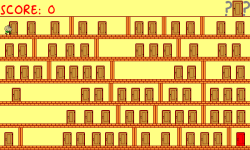 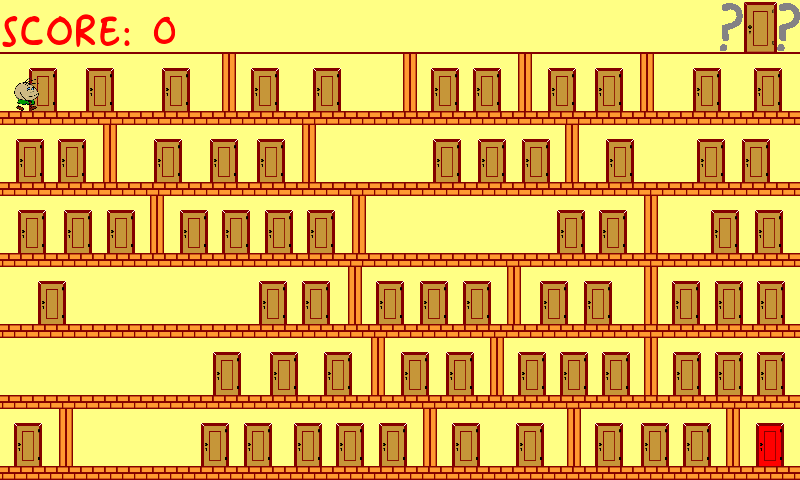 The game field represents some floors divided into certain rooms. There is at least one door in each room and each door is connected with another (maybe with itself), but this communication is unilateral. 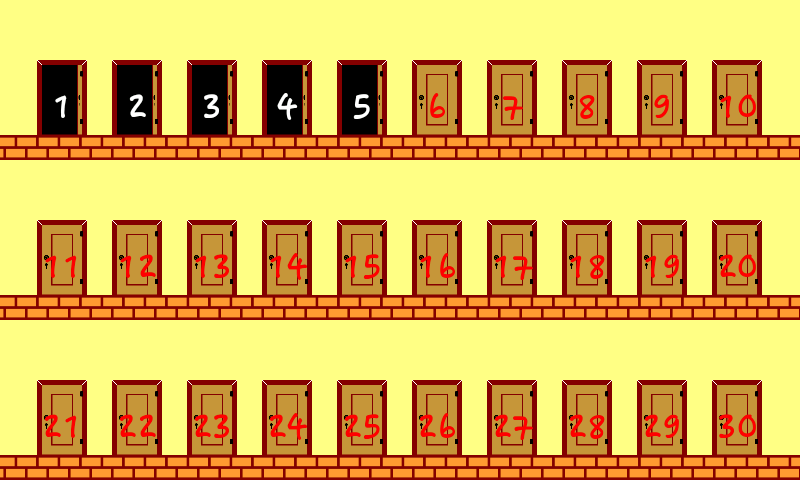 In other words, if you entered the 1st door and appeared in the 10th door, it doesn't mean, that if you will enter 10th door you will appear in the 1st. 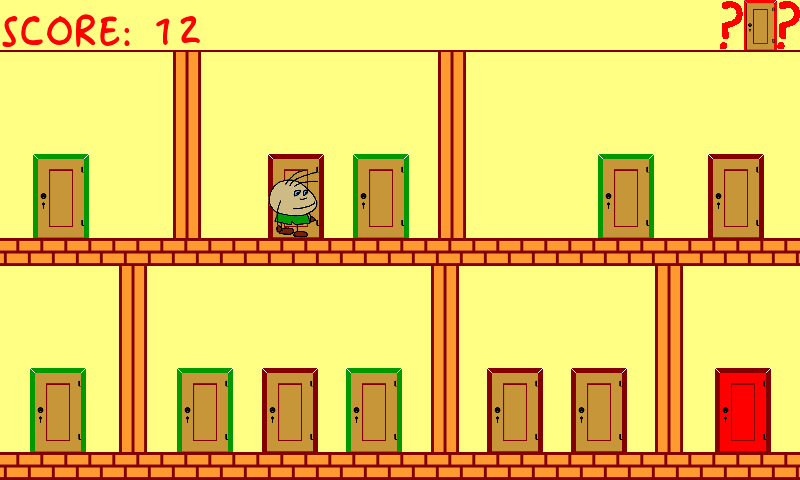 Make experiments, remember results, look for an exit from this unusual labyrinth! 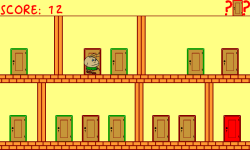 If You can't find the exit by yourself, You can use the help button. 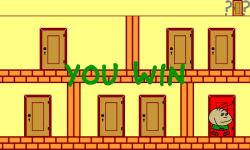 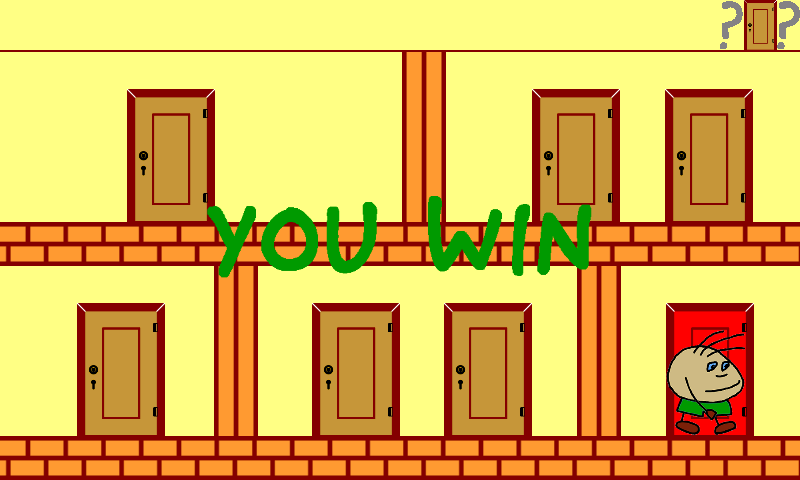 After it's activation, all doors you ever visited will be marked by the green color. 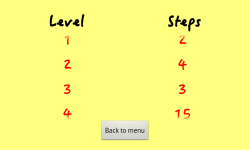 The next use of the help button will be possible only after making amount of steps equal of door's quantity. 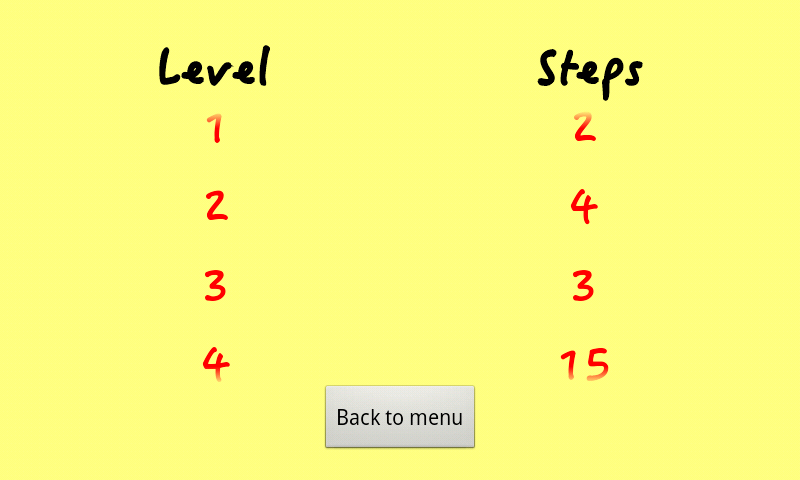 The first use of this button will be possible after making amount of steps equal of door's quantity multiplied by 2. 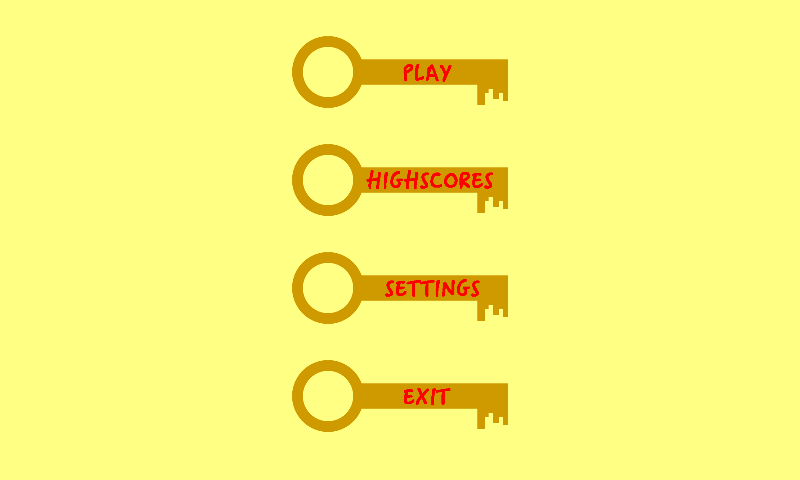 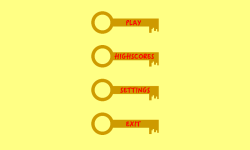 If you found the deadlock in any maze level, please tell me about it for fast correction!